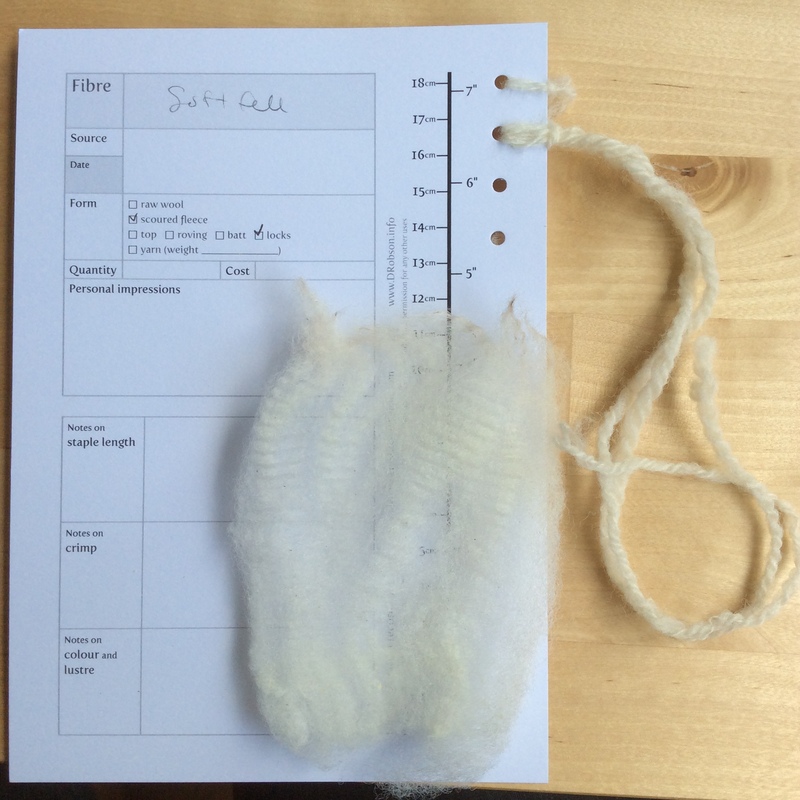 Deb Robson’s 2-day Introduction to Wool Types at Fibre East was fantastic. It wasn’t exactly a beginner class, but I was helped and encouraged to keep pace and gained some great skills. After all, I only learned spinning so I could take this class! Everyone else there was an experienced spinner and most brought their own wheels. They knew much about breeds already, and Jane of Woolsack.org is even a shepherdess with her own flock of Boreray up in Orkney. I was well in the deep end, and they were swimming, while I was wearing inflatable arm bands. 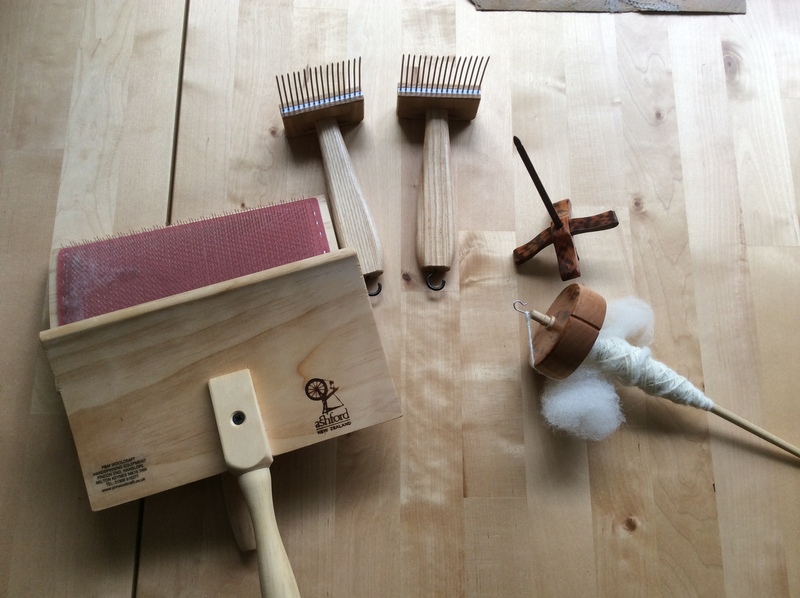 I did get lots of help with my spindling, from other workshop attendees, and Deb showed me how to use the tools. It was amazing and worth every minute. So much more to say about the workshop and Fibre East, but I wanted to start *somewhere*. We came home with many samples. I said to my husband that I now owned a fibre library, to which he said, “You mean A FIBRARY?” Indeed! Deb had organized them to contrast differences in the down breeds with longer locks; and samples with kemp and hairs so we could recognize them and understand how to work with them. We each got a small sample bag and a ‘tasting notes’ card. Deb encouraged us to open the locks, inspect the crimp and try different preparations. In that way it reminded me of wine tasting. The contrast helps you compare and discern differences you might otherwise miss if you lumped “down breeds” together, for example. I loved the crescendo on Day 2, looking at the crosses, and learning about breed development. Here you can see a sample card showing Soft Fell, and as you can see I didn’t even get to finish my tasting notes. We had to move pretty fast. This is the sheep of the week in the Ravelry Blacker and Beyond group, where you can find notes and pictures about this special sheep. Not yet a recognized breed I think? Pretty much everyone oo’d and aah’d! Until now, I only used commercially prepared combed top. My attempts to MacGuyver tools out of household combs and cat brushes were not successful before, (try making a tiny rolag on a cat brush with combed top, when you have no idea what you’re doing). When I checked my bag, the attendant asked if I had anything sharp in it. Uh.. yep. OK, OK… I bought TWO. But the second one isn’t here yet, (so it doesn’t count?) One is a Corriedale, the other is from Daniel, a cross: Llenwenog (mom) x Oxford Down (dad). I will write more about Daniel and seeing him shorn, and all about picking the fleece… but already this post is too long, I have fleece to wash! 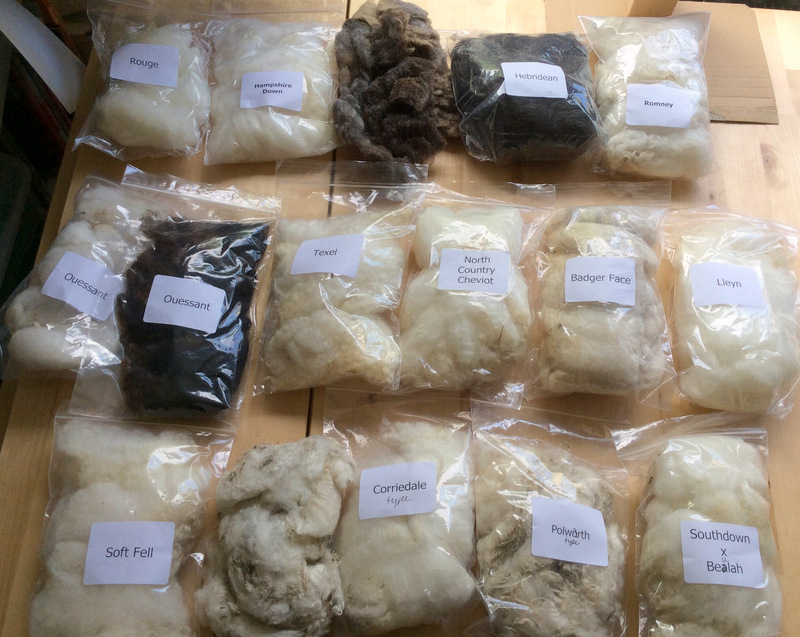 I’m following Deb Robson’s instructions for washing fleece. The big points: (1) Don’t worry. (2) Don’t agitate. (3) Don’t let the water cool off too much between baths. I nicked a couple samples of the Power Scour she had on hand 🙂 So that is getting me started. It smells lovely! Right now I’m on the 2nd wash, and I’ve got a rinse or two to go. Getting ready to wash fleece for the first time! Just popping by, somewhat belatedly, to thank you for your sweet words about my blog (the Love Knitting interview). Heh yes I am lucky. He’s quite the wordsmith. I never thought of asking him to name blog posts! Does your husband blog too? Thank you, that looks like fun! A fibrary! What a great name AND a great concept! Your Lonk has been located and will make its way to you, hand over hand. It is currently in Yorkshire, but is destined to travel in your direction. So glad you had a good time. You did just fine. What’s most important is simply to get the fibers between your fingers and experiment with them. Thanks for being brave enough to participate! Thank you so much! You were very patient and even the other students were helpful too. I was discouraged on day 1 unable to use the combs. Thank you for taking the time to show me carefully on day 2. It was a proper karate kid moment, if Mr Miyage had been teaching him to prep fleece!